You’re invited to a night of dinner, drinks, and dancing! 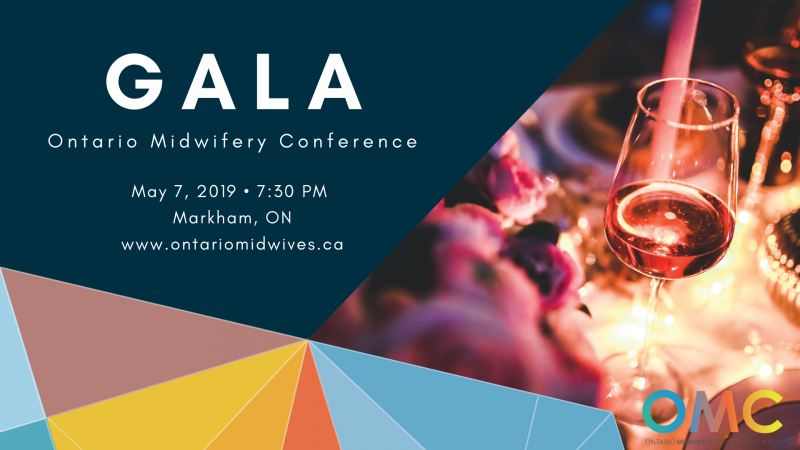 On Tuesday, May 7, 2019, we invite you to join us for the Ontario Midwifery Conference GALA – a glamorous evening of fun and entertainment, bringing midwives across the province together. No restrictions but we encourage you to bring out your formal wear! Included in your Full Conference ticket. Gala Only ticket: $120 per person.